HomeLifestyleIs Dubai’s Atlantis slip-sliding away from any green goals? 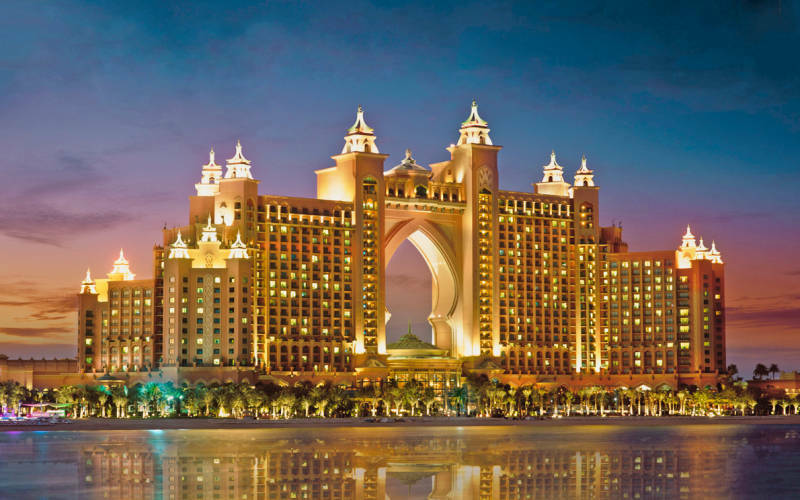 While its green status is questionable, the stunning Atlantis, The Palm Hotel and Resort located in Dubai is one of the UAE’s most popular attractions and one of the most alluring travel destinations in the world. The vast venue stretches out over 110 acres and this unique 5-star resort plays host to a number of special events and concerts all year round. It opened its doors back in 2008 and became the first resort to open on the brand new man-made archipelago, the Palm Jumeirah. But this controversial collection of artificial islands has come under fire since its completion, with environmentalist in particularly voicing their vehement opposition on more than one occasion. Coupled with the costs of maintaining this distinctive land, it begs the question: is this non-natural offering really worth the trouble? One of the major issues that the Palm faces is that it’s allegedly in the process of slowly sinking. Expert research and geological surveys that have been carried out on the site have confirmed that it is ever so slightly slipping back down into the sea by at least 5 millimetres per year. But what’s more concerning is that many professional observers fear this estimation could begin to increase much more rapidly in the future. Developers have of course been quick to quash these accusations and have conducted their own research claiming that there is actually no substantial erosion caused by the islands. Of course only time will tell. Another criticism levelled at Atlantis is that multifaceted construction has negatively impacted both the sea and landscape. Initially, the island’s outer water break had already affected tidal movement leaving surrounding waters within the group inert. Gaps have since been created in an attempt to negate the issue but it’s still a workaround more so than an actual solution and the currents are still being affected. The construction required the mass redisposition of sands and already this is beginning to seep into the once crystal clear waters in the area; turning it into a much more murkier, cloudy and unattractive sight. Of course this all has a knock on effect on the local wildlife that inhabits the waters, disrupting coral, covering oyster beds and upsetting local marine life. While the islands are habitable and the tourists keep visiting then the money continues to roll in. In fact some proponents are even calling for further construction of a new entertainment complex that incorporates Royal Casino games to further enhance Atlantis’ reputation for wealth. However, the question of sustainability is an extremely important one. If the shorelines and beaches become affected and the overall natural beauty of the site diminishes then it could become an extremely expensive error. Developers certainly have a lot of work to do in order to help improve and even reverse some of these more severe environmental changes. Model Mediterranean Diet vs. modernity – which will win?